A delicious meal that is a must have in a North-Indian Thali. 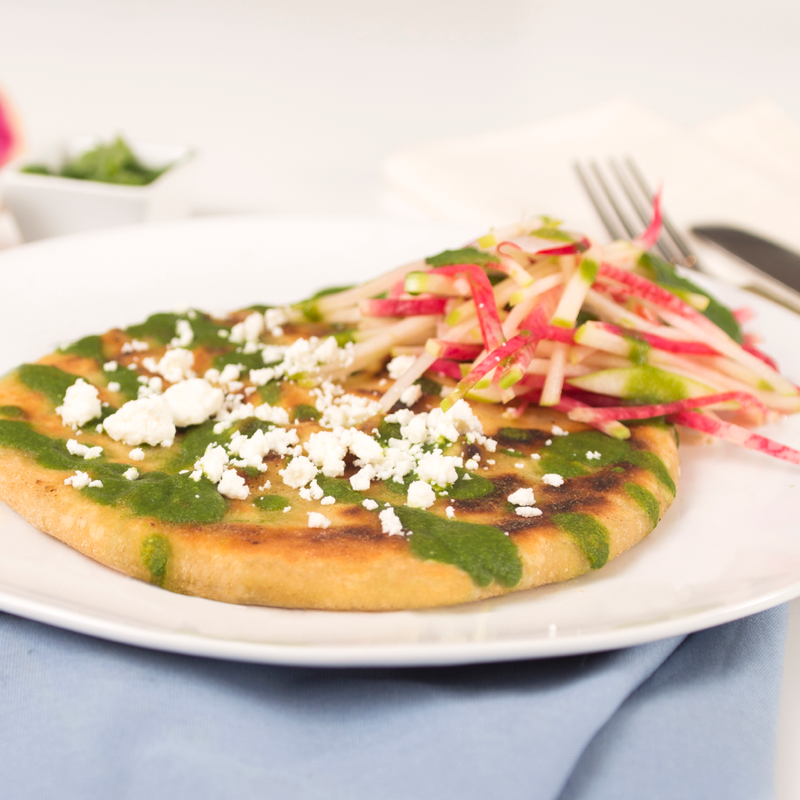 Made with appetizing ingredients, these Sharbati Atta parathas will make you crave more. Cook peas briefly in boiling water until al dente, then drain well and place in a large bowl. Sprinkle with 2 tablespoons olive oil and crush them coarsely with a potato masher. Mash the feta, potato and yogurt together in a shallow bowl. While the peas are still hot, add the feta and toss to combine. Add the minced garlic. Now add the scallions and 2 tablespoons shredded mint. Stir in the juice of half a lemon to start with. Season with pepper and a little salt. To make the dough, combine the Royal Sharbati Atta, ghee and salt in a bowl and mix well. Add enough water and knead into a semi-stiff dough. Keep aside. Divide the dough into 12 equal portions and roll a portion of the dough into a circle. Place a little stuffing in the center of the circle.- Bring together all the sides in the center and seal tightly. Roll again into a circle of with a little flour. Heat a non-stick pan and cook the paratha using a little ghee until golden brown spots appear on both the sides. Repeat with the remaining dough and stuffing to make 11 more Parathas.